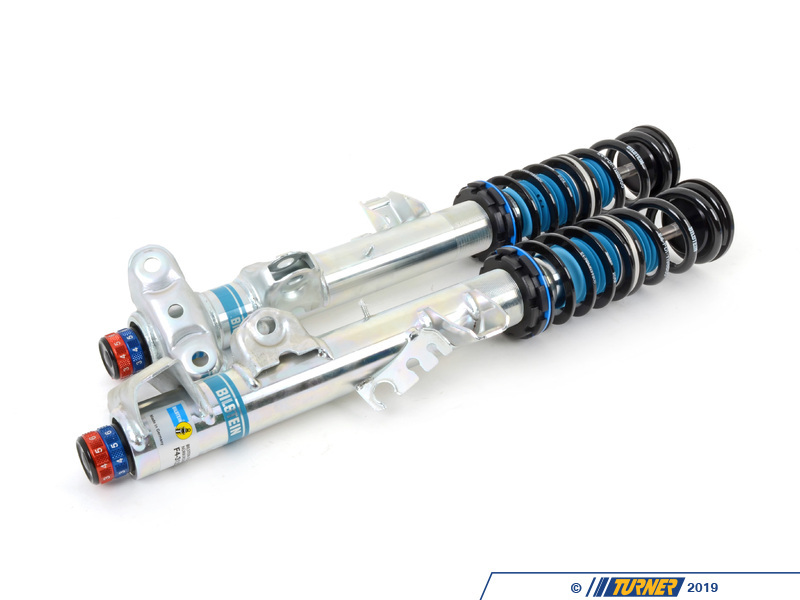 The Bilstein Clubsport Coilover Suspension for E36 M3 provides maximum performance and adjustability for drivers who run their cars on the track to the limit yet also want a "streetable" suspension. 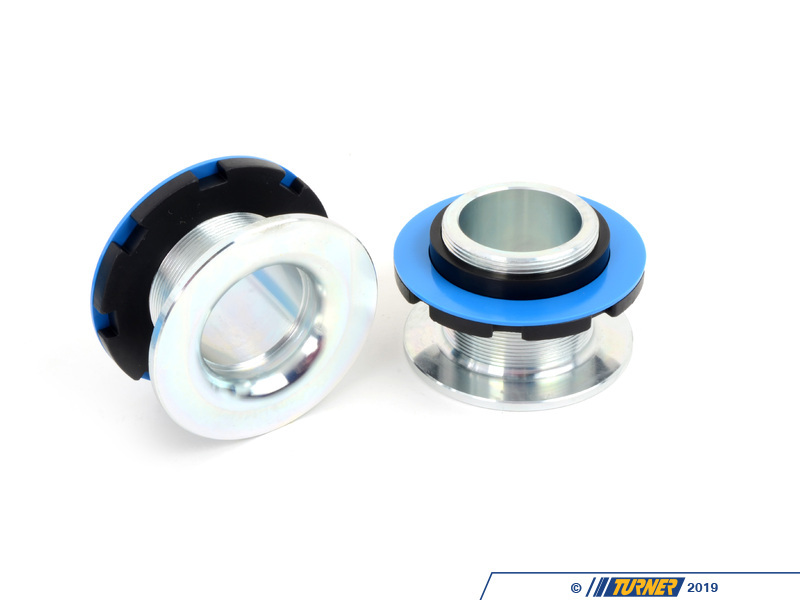 The Clubsport shocks feature independent adjustment of both rebound and compression forces via the two aluminium adjustment knobs. 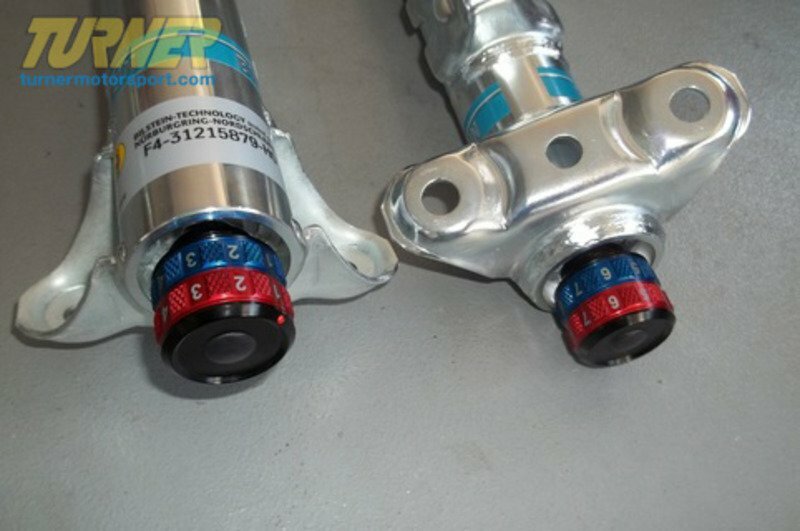 The front adjustments are made from under the front strut; the rear adjustments are made from the top of the shock. 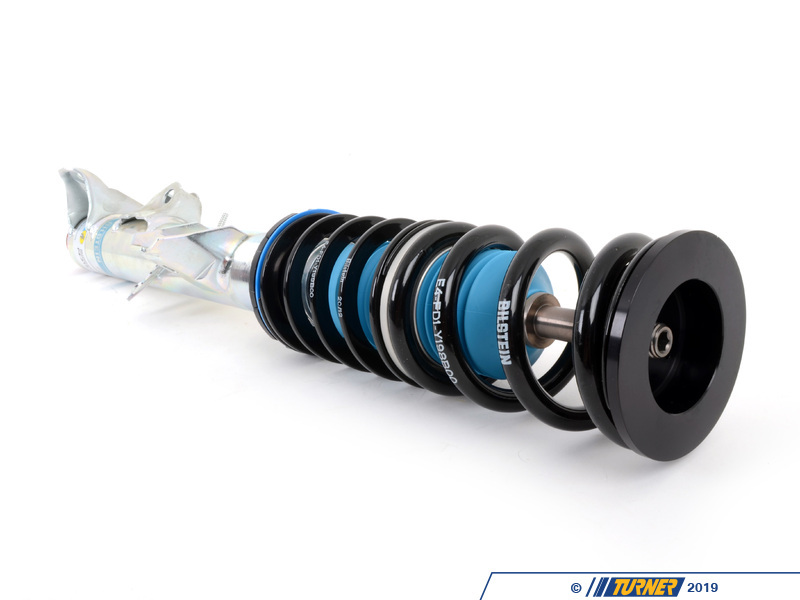 With 10 settings for both compression and rebound there are up to 100 unique suspension settings to fine tune your E36 for a bumpy track, a billiard smooth track or the drive home. 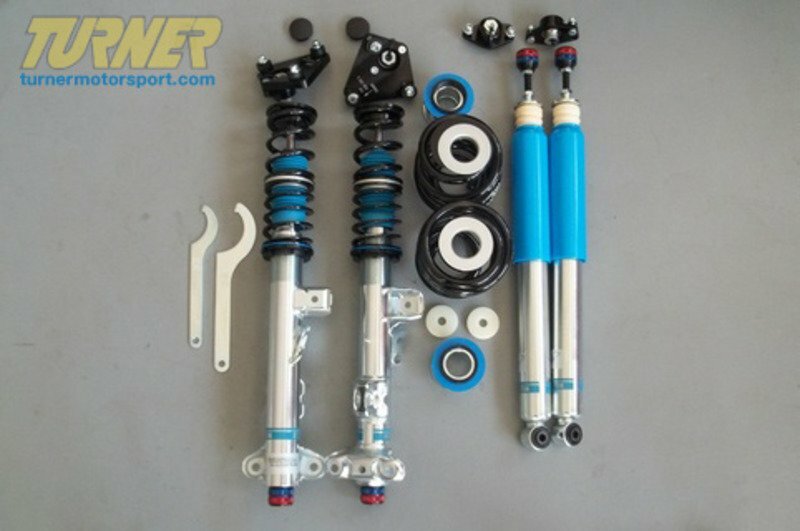 The Bilstein Clubsport suspension is a TUV-certified, street-legal, high-end coilover package that is also designed for uncompromising use in racing, track days, and club racing. 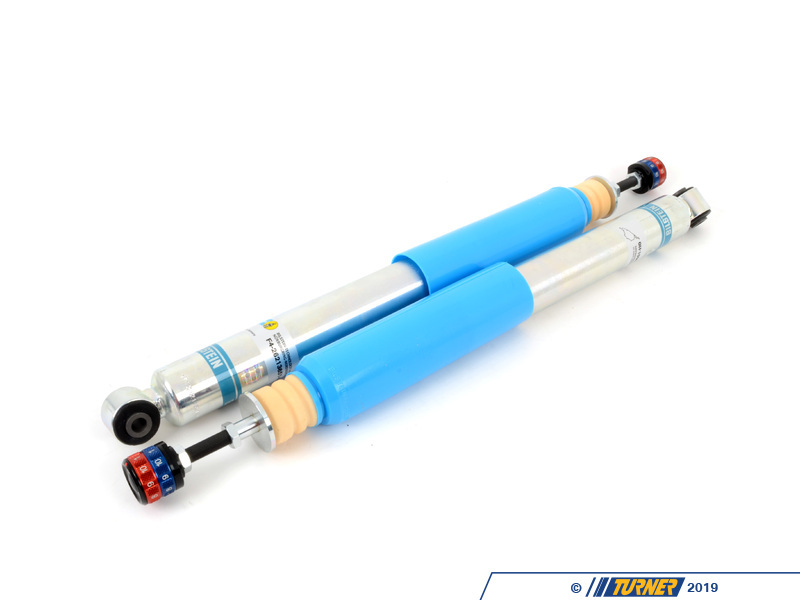 The suspension combines the tried-and-tested BILSTEIN mono-tube shocks with the highest levels of engineering from the field of motor sport. 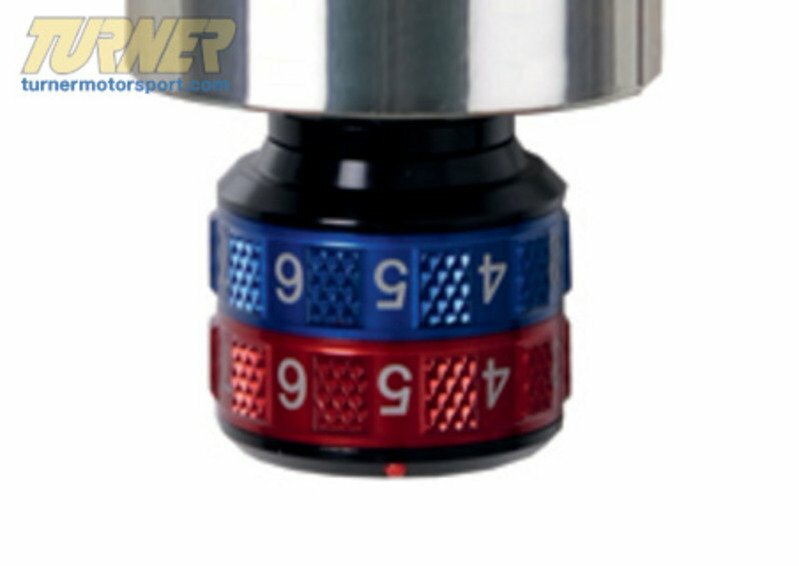 The 2-way adjustment system, with integrated reservoir, offers a weight advantage for racing use compared to systems with external reservoirs. 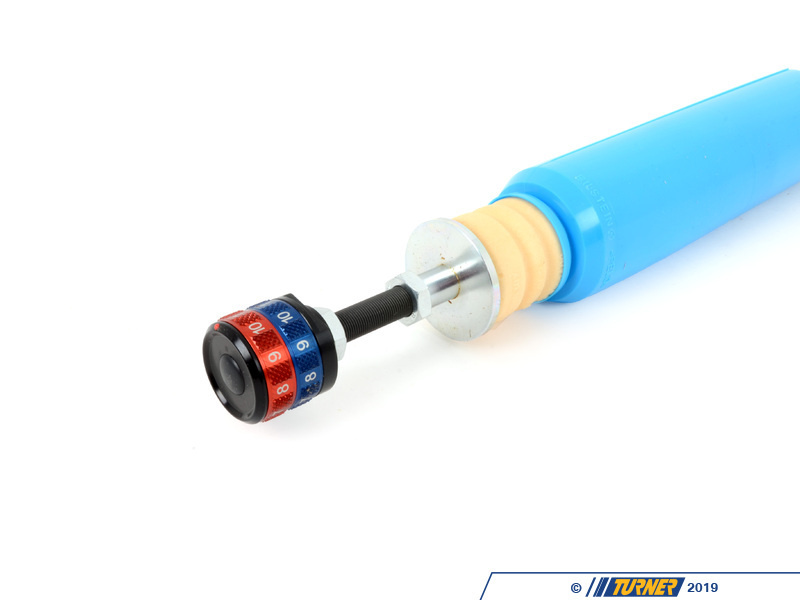 With 10 x 10 clicks, a wide range of handling characteristics can be created in just seconds, allowing for instant back-to-back set-up and testing. 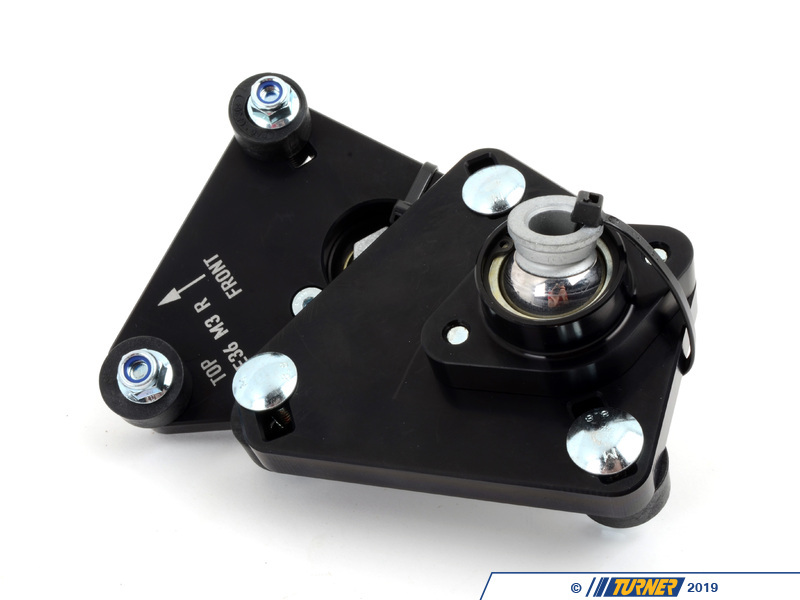 In combination with the adjustable motorsport uniball camber plates, it is possible to select the suitable setup for the respective track, weather conditions, vehicle weight, driver preferance, and tire characteristics. 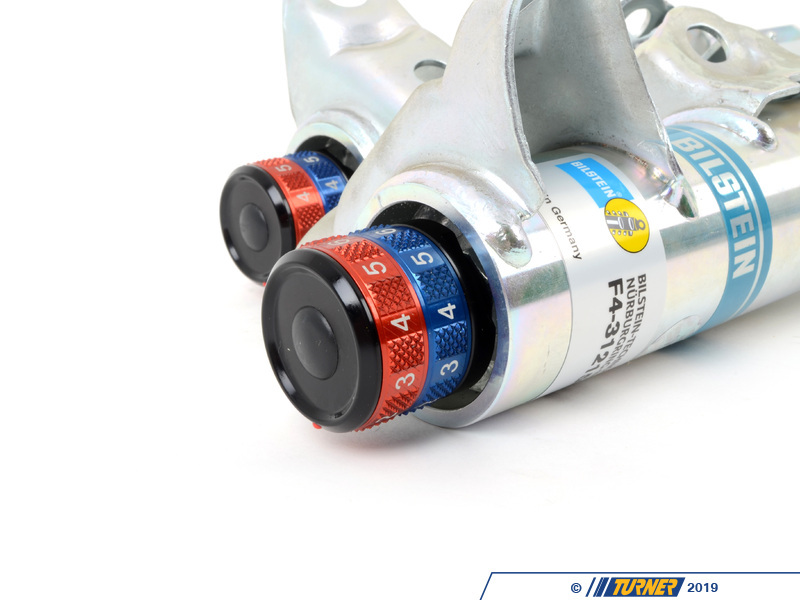 Rear monoball upper shock mounts are also included for a complete, bolt-in package. 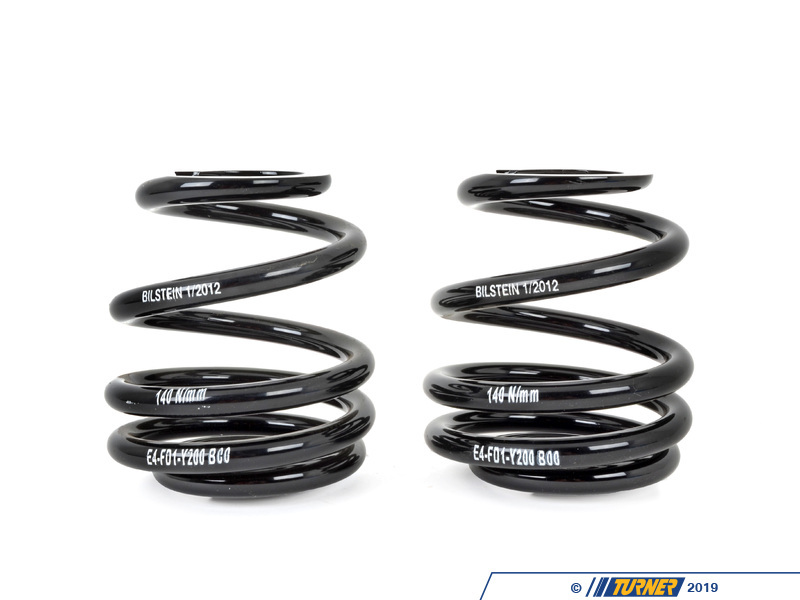 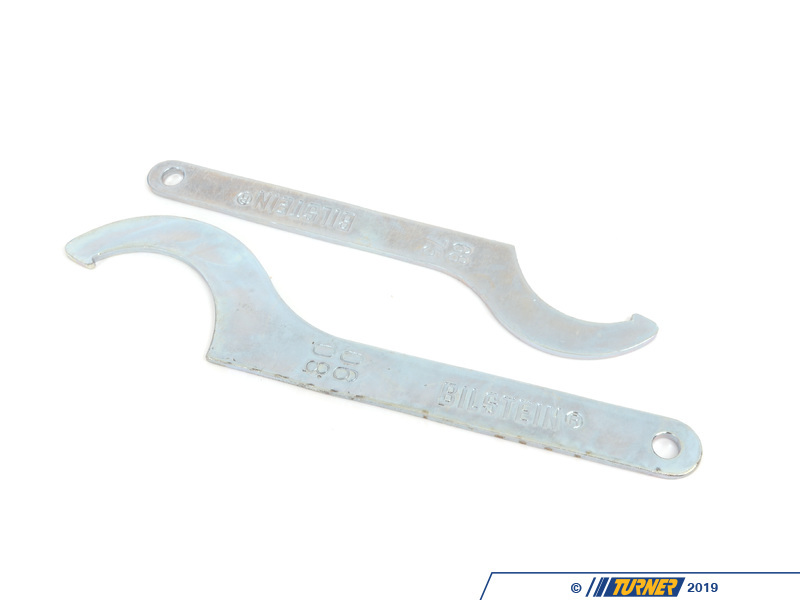 This package is supplied with a base set of springs - 100Nm (571lb) front and 140Nm (800lb, progressive) rear. 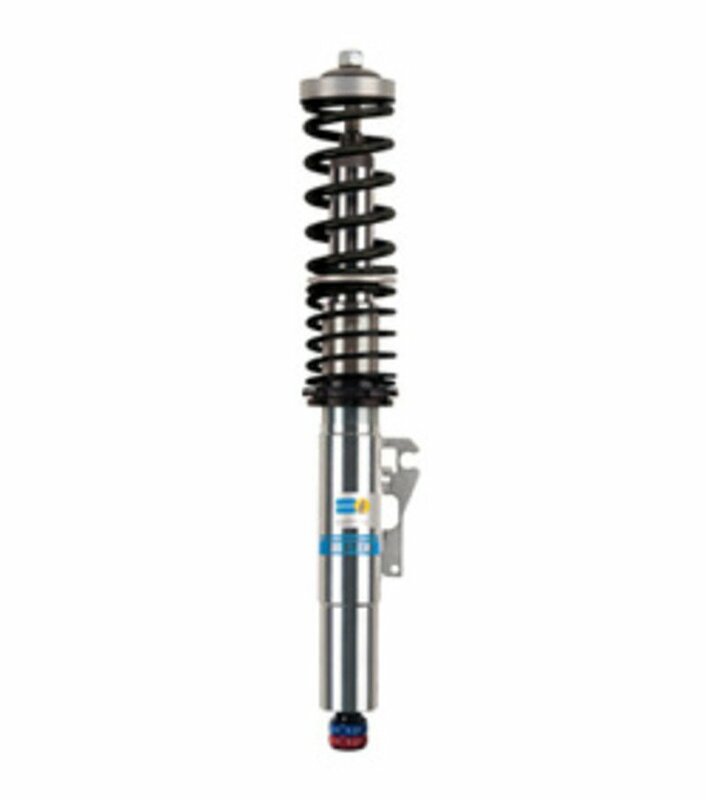 These are 60mm ID springs so changing spring rates or lengths to suit your setup goals is very easy! 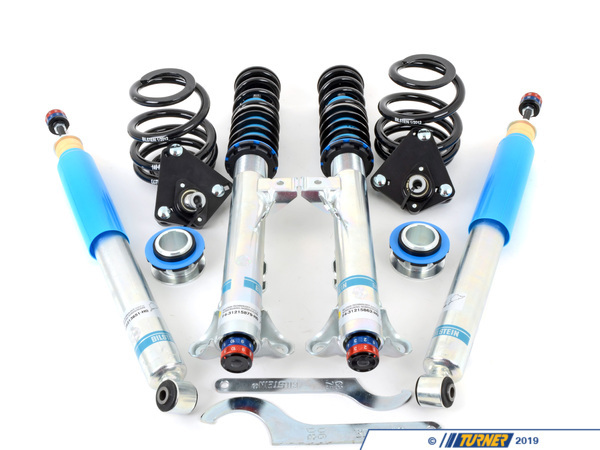 Turner Motorsport stocks many springs to fine tuning your suspension package. 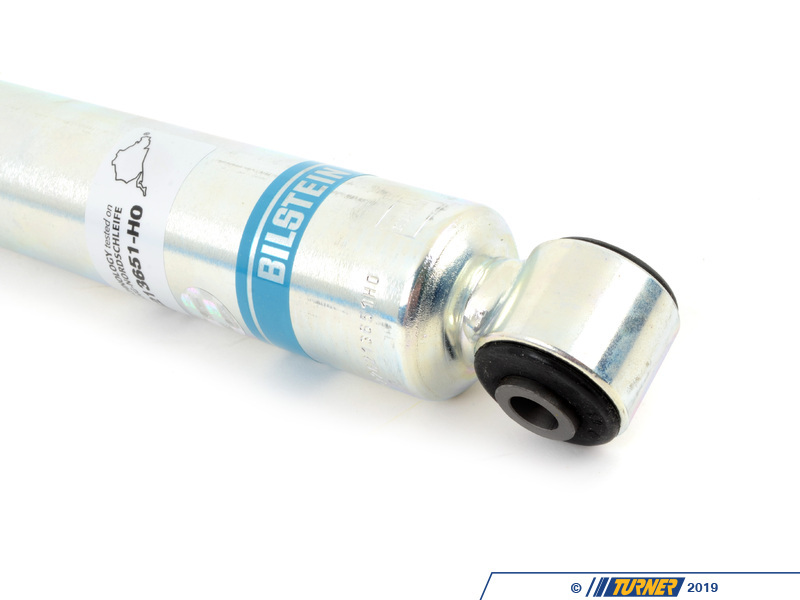 BILSTEIN mono-tube gas pressure technology from the field of motorsport.